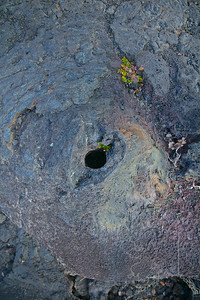 A very small lava tube with a new resident. 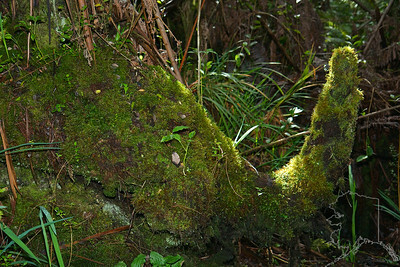 Looks like an elephant. 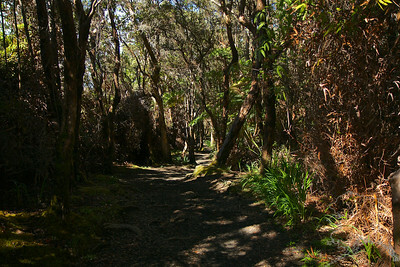 This is on the trail to Thurston Lava Tube. 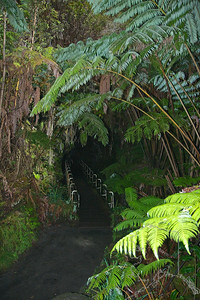 Trail to Thurston Lava Tube. 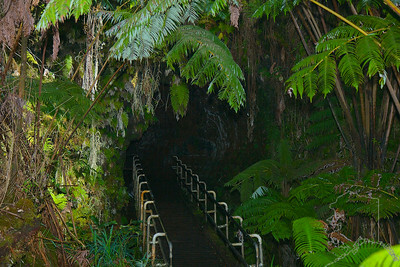 Entrance to Thurston Lava Tube. 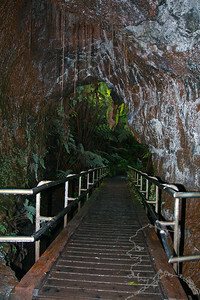 Inside the Thurston Lava Tube looking out to the entrance. 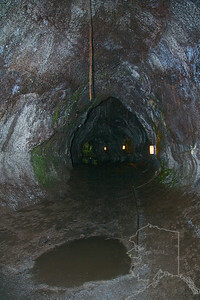 Inside Thurston Lava Tube. 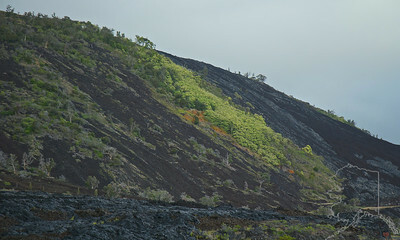 The flash shows the glass in the lava. 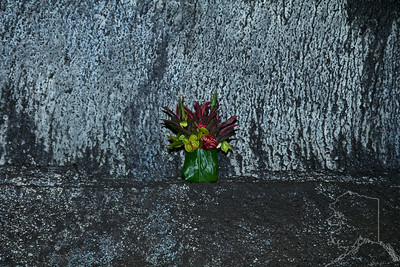 A gift to Madam Pele inside Thurston Lava Tube. 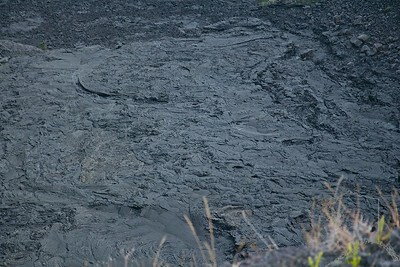 The flash shows the glass in the lava. 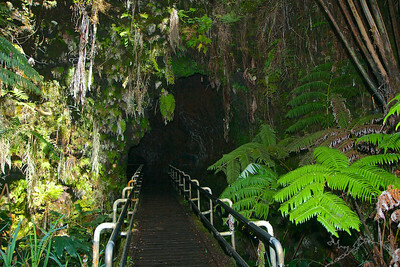 The exit out of Thurston Lava Tube. 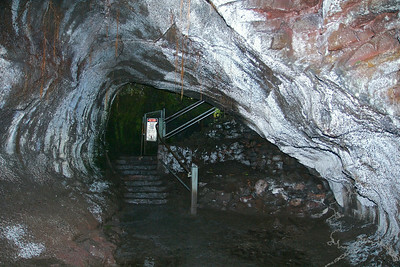 I had read about this part of the lava tube so I brought my flashlights. 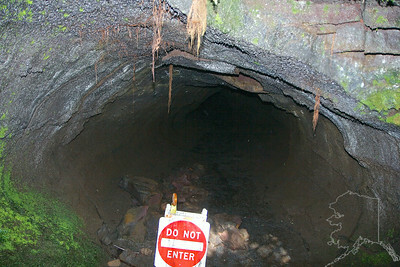 But as you can see, I could not go back up in there. 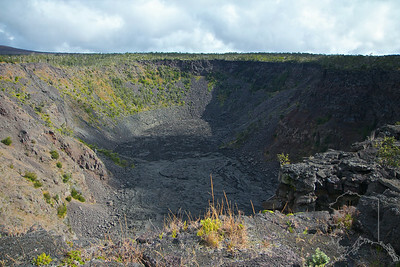 A crater off of chain of craters road. 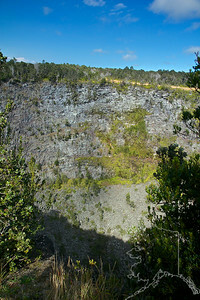 an old lava lake in one of the craters. 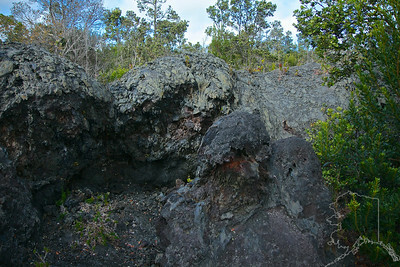 When lava flows fast and hits a tree the lava crusts over fast. 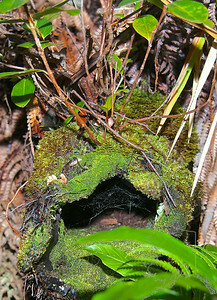 Later the tree burns out and leaves this hole. 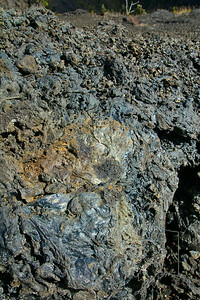 Here the lava is rusting of the iron that is in it. 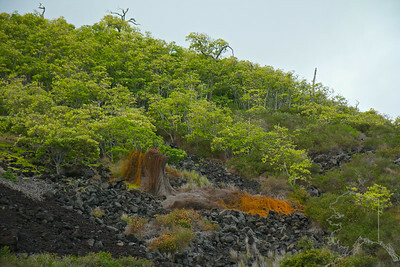 In mid image before the the ocean, you are looking at a shelf of lava that leads to cliffs. 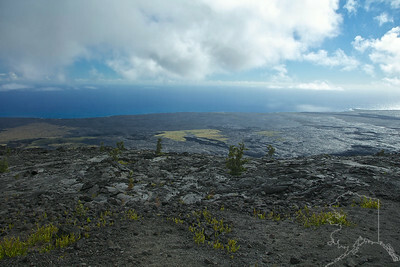 Here I am on the lava shelf looking back up from the last image. 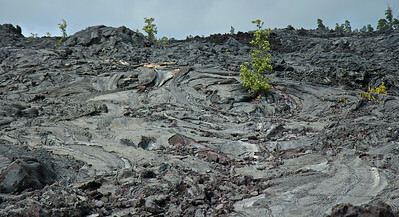 There are two different types of lava here pahoehoe (pa-hoy-hoy) and a'a (ah ah). 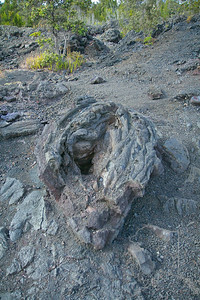 Pahoehoe lava comes out smooth and dense and can form large areas that resemble flat parking lots or smooth bumps. 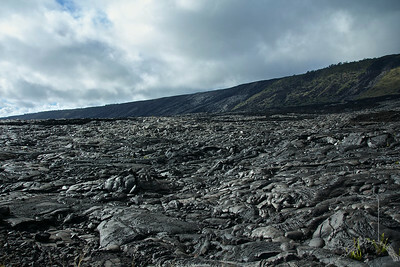 A'a, on the other hand, forms individual rocks anywhere from a few inches to many feet in size. 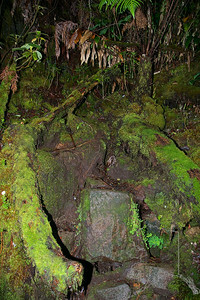 The rocks are porous and very jagged. 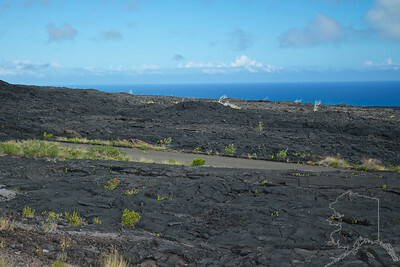 This area marks the old road that was covered over in the 1972 Alae Lava Shield flow. No Mom that is not me. 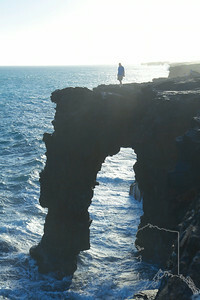 There are a few arches all along the coast of the big island of Hawaii. Here some man went out to tempt fate. 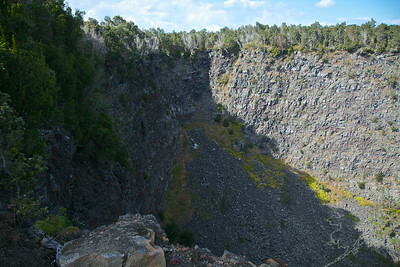 Notice in the upper right corner are two other people pushing their fate also. 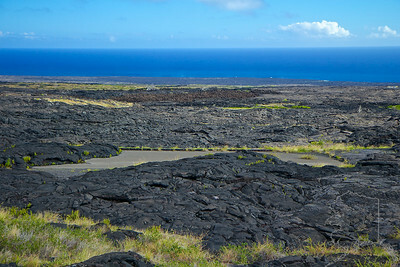 Where land and water meet. 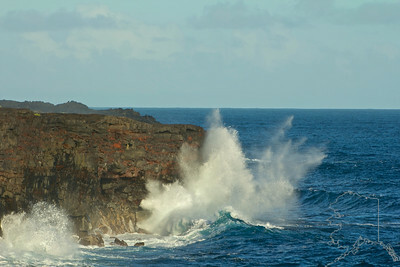 These waves have traveled all across the Pacific to unload their energy here and try to wash away some of the island. 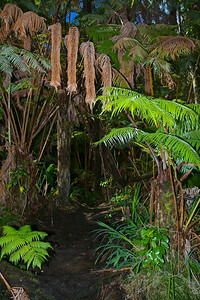 Another arch in the upper left corner. 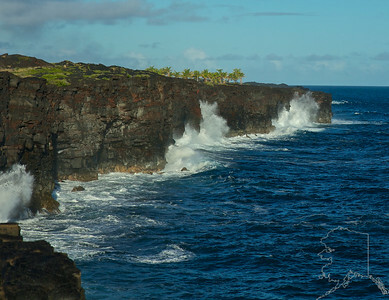 Notice the ocean spray coming over the cliffs. 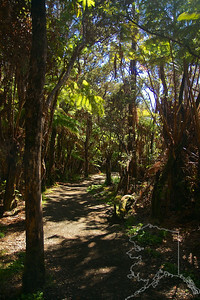 After I took this image I became really concerned for my camera. 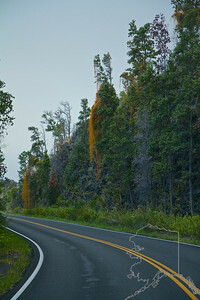 The burnt orange is some kind of vine.